All Contra Krugman episodes are great. Scott Horton makes everything greater. This episode was as awesome as we’d expect. 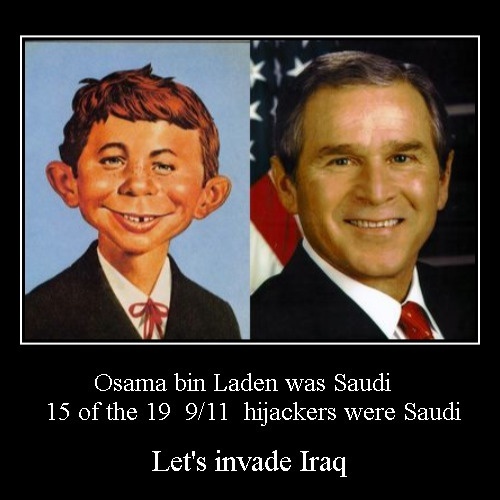 However, I’m surprised that nobody mentioned that the Saudi Arabian intelligence service ran the 9/11 operation. It’s not a matter of them having prior knowledge or being peripherally involved. They selected the personnel, paid for their daily expenses, paid for their training and managed their activities. It wasn’t some rogue Saudi citizens, either. The Saudi government is always some faction of their royal family, so reason dictates that an operation of this magnitude went to the top of the Saudi government. This feels like Bizarro World. I can understand our government and our complicit media not discussing this, but almost nobody discusses this. It would be analogous to living in the US in 1953 and nobody is willing to talk about the Japanese bombing of Pearl Harbor.